It started from "How was your Christmas holiday?" 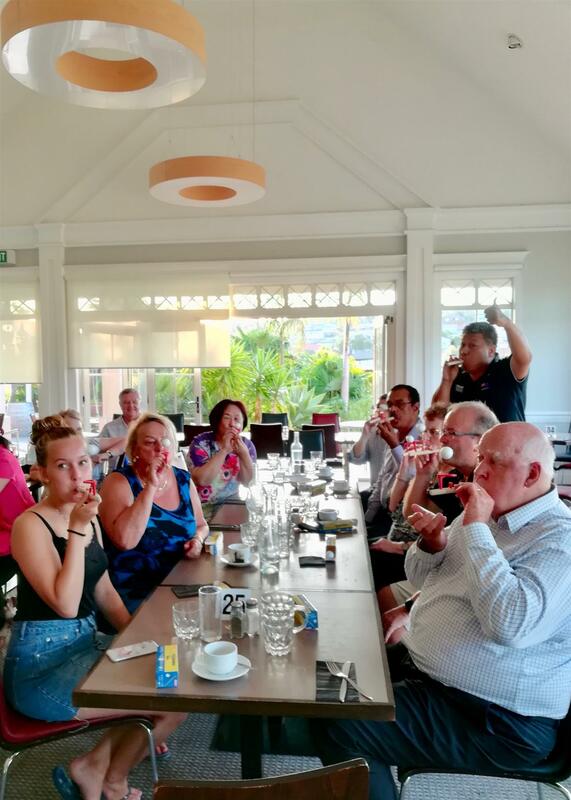 to share, then welcomed Auckland South members led by President Janet who brought the story of Fiji Oxygen Project, together with a joyful experience of blowing Oxygen floating balls amongst every Rotarians. From aged 18 to 80-to-be, 2 Clubs made a hybrid enjoyment and accomplished friendship by challenging how long we can be blowing the Oxygen ball in the air. We all have chance to play and at the same time, are empathic to experiment the moment of lacking Oxygen.